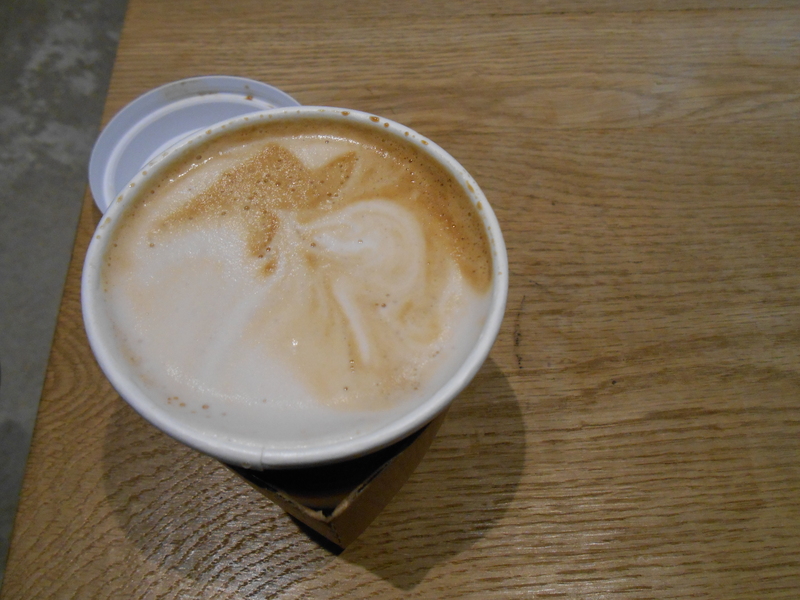 There are a couple Dollop coffee shops in Chicago. The one I went to was located at 345 East Ohio Street. 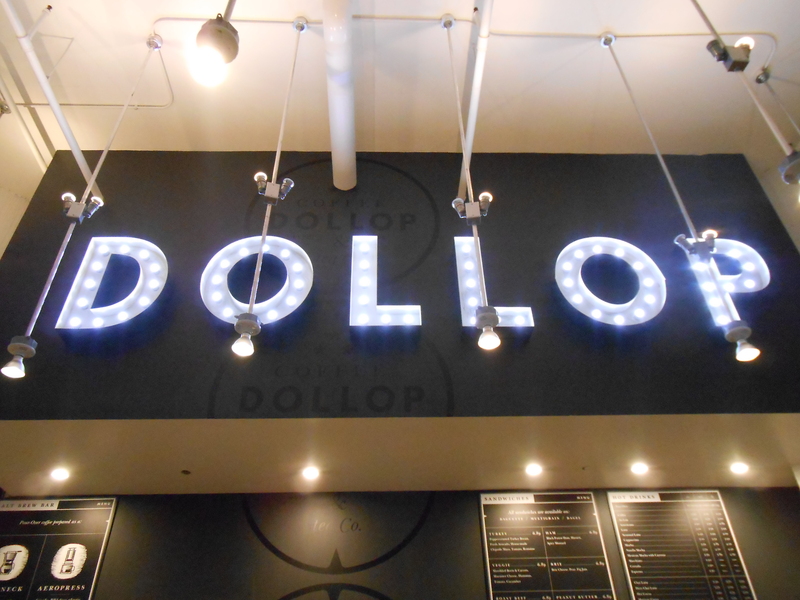 Dollop is a cafe that offers a nice variety of food (mostly sandwiches), pies and sweets along with coffee and tea. Their pies are from Hoosier Mama Pie Company. They have a seasonal menu and I ordered pumpkin chai and found it had no tea in it but coffee. A friend had suggested the pumpkin chai and when I returned with my drink, confused as to why it smelled like coffee she said it looked right so I tried it and it was coffee. 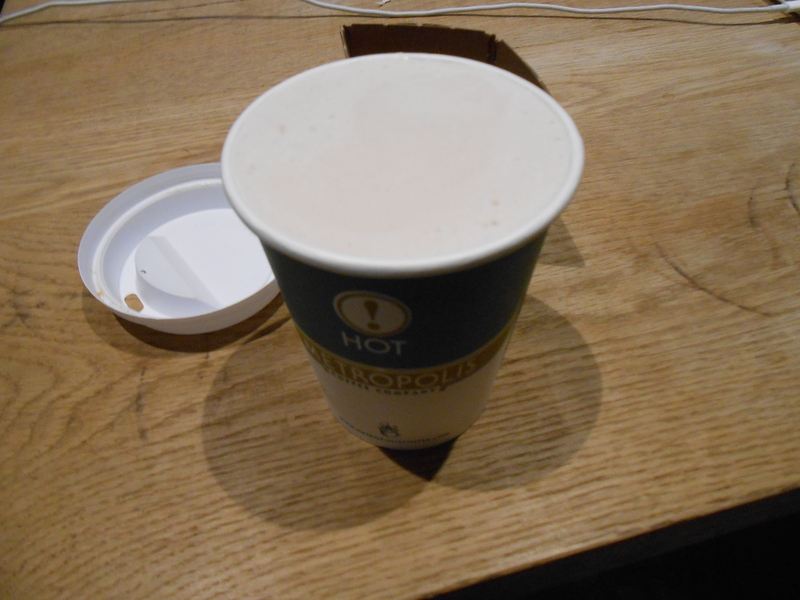 So I returned it, to the confusion of the workers who were confused as to why someone who didn’t like coffee was at a coffee shop. They quickly fixed my order. My friend said that hers had been tea and so she wasn’t sure what had happened, especially since they had written on my cup “Pumpkin Chai”. The atmosphere when I went was very quiet. The shop seems to be a big place for people to come and use wifi and do work. People were also sitting outside since it was a nice day, it started to rain and a few still sat outside working and using the wifi in the rain under an alcove.